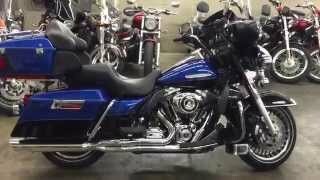 This used 2010 Harley-Davidson FLHTK - Electra Glide Ultra Limited Motorcycle for sale has 5076 miles. The color is WHITE ICE PEARL/BLACK ICE PEARL. It is offered for sale by Motorcycle Maxx and located in Lewis Center, OH. The listing # is 61521. For more information call (614) 928-3960 . For the fastest response send an email via the form above. 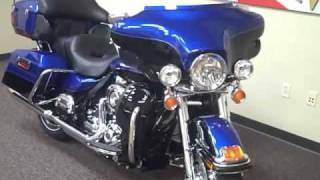 651046 2010 HD FLHTK Ultra Limited - $14,990.Purple/White, 5,076 miles, 103ci! !EXTRA NICE!!!! 103 CUBES!!!!! SUPER LOW MILES!! The new king of the Grand American Touring experience, the Electra Glide Ultra Limited offers enhanced performance and features, with distinctive styling upgrades. The Twin Cam 103 engine that delivers 10 percent more torque than the Twin Cam 96 engine offered in other Touring models. The average price of a 2010 Motorcycle for sale is $8470.45. This model is priced $6519.55 more. The average price of a 2010 Harley-Davidson Motorcycle for sale is $11079.18. This model is priced $3910.82 more. 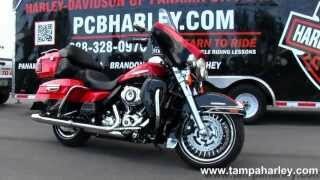 The average 2010 Harley-Davidson Motorcycle for sale has 20637 miles. This model has 15561 less miles. 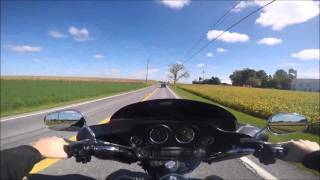 There are 1115 Harley-Davidson Motorcycles for sale within 150 miles of Lewis Center, OH. If you looked at the average 2009 Harley-Davidson Motorcycle for sale it would cost $5198.81 less. If you looked at the average 2011 Harley-Davidson Motorcycle for sale it would cost $3384.68 less. 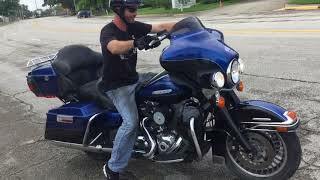 The average price of a 2010 Harley-Davidson FLHTK - Electra Glide Ultra Limited Motorcycle for sale is $14070.75. This model is priced $919.25 more. 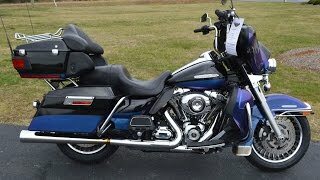 The average 2010 Harley-Davidson FLHTK - Electra Glide Ultra Limited Motorcycle for sale has 28304 miles. This model has 23228 less miles. 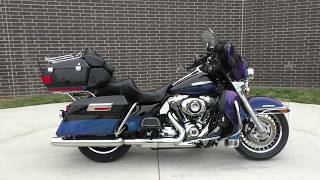 There are 16 Harley-Davidson FLHTK - Electra Glide Ultra Limited Motorcycles for sale within 150 miles of Lewis Center, OH. If you looked at the average 2011 Harley-Davidson FLHTK - Electra Glide Ultra Limited Motorcycle for sale it would cost $3642.00 less.